Attention: Strictly Limited Time Online Business Essentials Offer. Never Again Will You Suffer From The Pain & Hassle Of Paying Monthly Bills For Your Autoresponder, Mailing List Management, Ad Tracking, Shopping Cart, Refer-A-Friend System & More... Plus Get The Whole Package Installed So You Can Save A Truckload Of Time & Money. When I started developing the first Add2it marketing software script back in 1999, I had one thought in mind... I wanted all the features I could possibly need... but I wanted to pay no monthly fees for it. That's how Add2it Mailman Pro came to life back in 2000. And every since I worked on it and improved it. Based on my own needs as well as based on customer feedback it evolved all the way to where is is today, the latest version of Add2it MailResponder Pro. 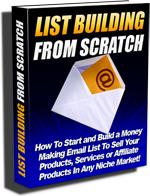 But I didn't stop there and created many other marketing software scripts that are essential for online success. Today I want to offer you an incredible selection of software & scripts that will help you achieve success with your online business at a fraction of the regular price... in fact, you will get a bundle of my top 5 marketing software scripts at the price of less then just one of them! Obviously I can't keep the price this low forever, because I don't want to reduce their value this way, so I recommend that you act now, before it goes back up to the regular price. 1. The top of the line autoresponder follow-up and mailing list management system, Add2it MailResponder Pro. Need to automatically follow-up on prospects without paying monthly fees? 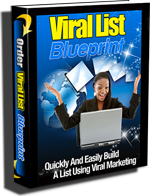 This powerful software script makes it easier AND cheaper than ever before. You can now effectively advertise your products to a group of prospects with a simple click of your mouse... Stop paying monthly fees now! 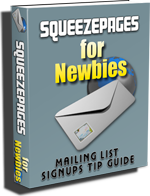 Need to publish a newsletter or keep in touch with a group? Add2it MailResponder Pro is a combination of Add2it Mailman Pro, a mailing list management system that can be used to send broadcast messages to a list of subscribers at any point in time, and a MySQL version of Add2it AutoRespond Pro, an autoresponder follow-up system that can be used to send an unlimited amount of sequential follow-up messages to a subscriber. It is MySQL based and allows unlimited fields per subscriber. Plus it has several new features, such as the ability to easily import lead source files straight into the system immediately as you receive them from your supplier and an unlimited number of admin fields. 2. The top notch link tracking system Add2it Go-To Enterprise. Need to manage your ads and track your ad responses accurately? You can now do it with ease. Automatically generate ad links, track their responses and compare their results. Improve your ad campaign now by identifying which ads work and which ads don't...! And as an additional feature you can even do split-testing to find the best selling ad copy for your site. Add2it Go-To Enterprise is the Enterprise version of Add2it Go-To Pro. It allows you to offer a free or paid ad tracking or redirect service to your customers. The Administrator has complete control over everything including adding or removing tracking links. This software script includes an unlimited number of users with access their own user area. Need to charge customers and safely deliver your e-product while preventing online theft? Add2it E-Shop Pro is the exact same software script used to process orders at Add2it.com, Add2you.com, ProgShop.com and many other sites. It gives you the freedom of selling any kind of combination of your products and services while protecting your products from cyber-thieves. This payment processing and shopping cart software script allows the following payment methods: 2Checkout, PayPal, iPayment, remittance (wire transfer), cash, check, money transfer, COD and billed orders. Electronically deliverable products are delivered with an IP secured and time expiring secure download links. Recurring orders can be handled through 2Checkout and PayPal. Add2it ReferThem Pro allows your visitors to e-mail and notify associates or friends about your website. Together with Add2it MailResponder Pro it also allows you to build a mailing list of referrers as well as referred visitors. Download this script and start promoting your web site today! 5. The safe and secure way of letting your visitors contact you Add2it WebForms Pro. Need feedback from your site visitors without getting buried in SPAM? Add2it WebForms Pro is a powerful feedback form program. It makes it easier AND safer than ever before to get feedback from your site visitors. It protects you from SPAM by keeping your email address secret. 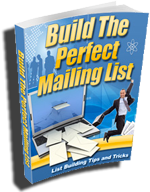 Together with Add2it MailResponder Pro it also allows you to build a mailing list of site visitors that use your forms... so you can use it e.g. 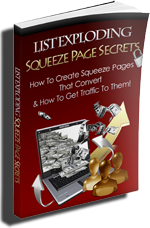 for name squeeze pages or surveys. 6. Optional full installation of all five software scripts on your server at a 70% discount. Why worry about the hassle of installing these software scripts when I can perform the installation quickly and successfully for you? No worries, no headaches... No Problems! You can grab this huge bundle plus even more at a HUGE discount! 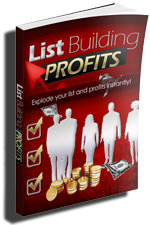 I'm going to give you $2,244.91 in FREE bonuses. Get the "Add2it Complete Pro Package V2.0" now for a fraction of the regular price! How many times have you wished you could have these types of software scripts, but just couldn't afford them? NOW is the time to get them when they are bundled into a special 67% discount offer like this and YOU will save 67% off the regular price! You also get free updates! For one whole year you will receive Updates at NO-COST. No matter how many times we update the scripts, you will receive all updates and upgrades for twelve months 100% Absolutely FREE. But that's not all... after the first year, for lifetime you will get updates at 50% off! Too much to list it all here! If you are not positively thrilled with the incredible features each and every one of the Add2it scripts has for you -- or if you're dissatisfied for any reason even after me helping you in any possible way -- you will get 100% of your money back with no questions asked. You have a full 56 days to request a refund at anytime. So no matter what you come out ahead. Either you like it - keep it and profit from it or you get your money back and can even keep the special bonus offers. You can only win! Now we have it all together, see what you are receiving today... the Add2it Complete Pro software script package V2.0 worth $365.00, optional installation service at 70% off and bonuses worth over $2,134.95! TOTAL SPECIAL BUNDLE OFFER VALUE: $2,499.95! But you won't have to pay $2,499.95, not even $365.00... if you purchase right now, today! As I said, if I say special offer, I mean special offer! I'm going to give you 67% Off The Regular Price! But hurry, this discount of 67% off can be gone at any time! As I mentioned before, I started developing these marketing software scripts back in 1999 and even today I am constantly improving them and adding features that are useful to my customers. Now I want to give them to you at a fraction of the regular price. Go ahead and order now. You will be glad you did. If you have any questions about the Add2it Complete Pro Package V2.0 you may contact me at anytime. PS:The price can go up at any time. Please don't let this amazing deal pass you by. I want to see you get the best bargain for your money, but I can only offer this low price for those who are serious enough to take immediate action. I hope that's you... I really do. I want to see you succeed. I know how hard it is to get started making money on the Internet. Do NOT let this pass you by. Go ahead and order right now. PPS: One last thing... not only can you make money using these products, but when you pick up your Add2it Complete Pro Package V2.0, you will be given privileged access to my Affiliate Program. 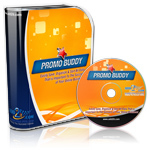 You can promote this package, and make BIG BUCKS in commissions. Go ahead and order your Add2it Complete Pro Package V2.0 right now. Make Back Your Entire Investment with only 2 Sales! Important: I can't keep the price this low forever, the price can go up at any time. Please order today to save the most... save 67%! You only need certain software scripts? Click here.